Yeh. 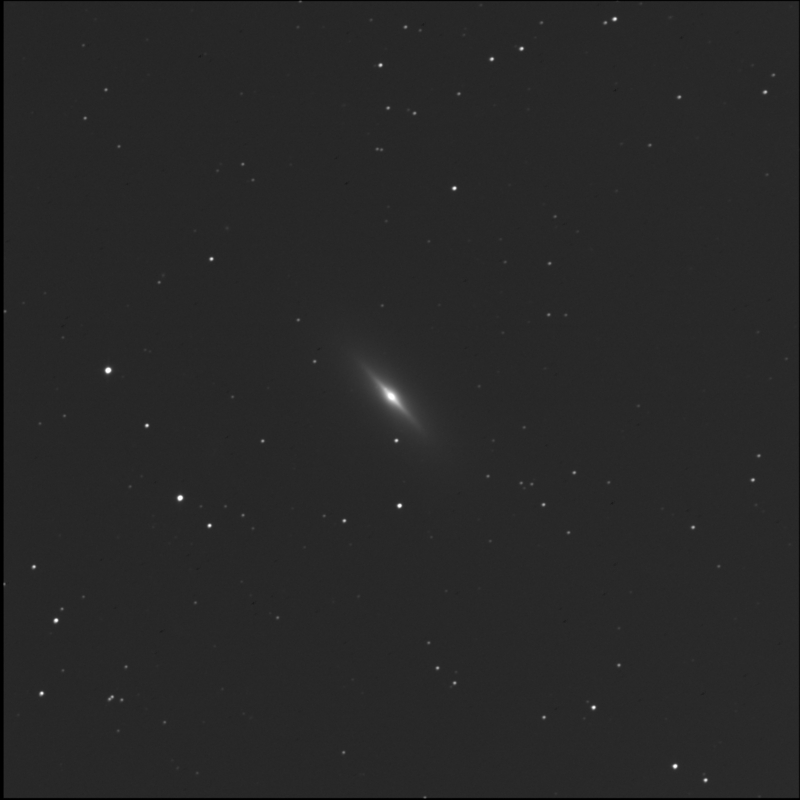 The Burke-Gaffney robot, before going on vacation, imaged some galaxies for me, starting with NGC 3115 aka the Spindle Galaxy. A small but bright edge-on galaxy in Sextans. One of the RASC Finest NGCs. I've been trying for this target since January. The Spindle is also known as Caldwell 53, MCG -1-26-18, and PGC 29265. The core is incredibly bright. There seems to be a large oval halo around the galaxy. 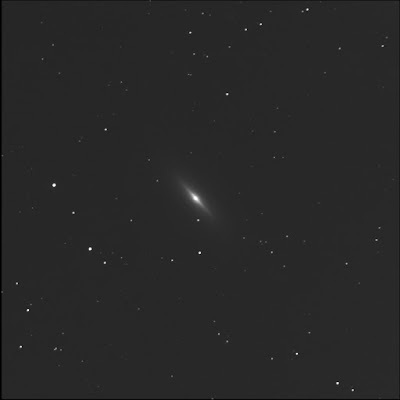 There's a neat double north of the thin bright galaxy. SkyTools 3 Pro says the brightest star, J100516.4-073544, is magnitude 15. The second star is nearly identical in appearance. They are nearly oriented east-west. Unrelated stars according to ST3P. There's a faint tight double to the south-east. ST3P does not show this pairing. They are near J100544.9-075231. Unrelated stars according to ST3P. I can see the tiny round galaxy LEDA 1015119 beside the star J100542.5-073958 and east of GSC 05477-1051. North-west of the GSC star is another small round fuzzy: LEDA 1015564. Due north of the Spindle is a very faint tiny oval smudge: LEDA 1016665.